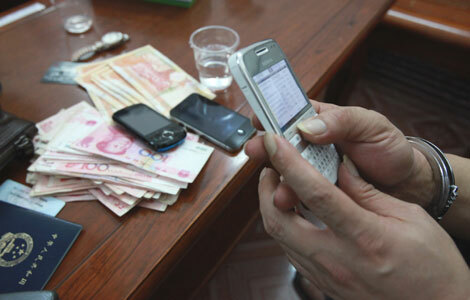 Mobile Money Asia: Mobile Money in China. The next big thing? 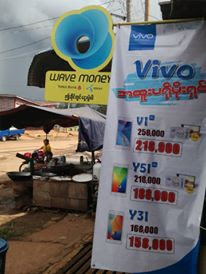 Mobile Money in China. The next big thing? Everything is big in China. It has the world’s biggest population with over 1.2 billion, it has over 160 cities with a population of more then 1 million, there are over 1 billion mobile subscribers, and millions of people have bank accounts. Despite this, the gap between access to bank branches in urban areas versus rural locations is huge, with only 0.34 banking outlets per 10,000 people rurally, compared to the national figure of 1.34. Further, in an interesting post this week in the Economist, the author noted that there had been almost zero impact from traditional mobile money services in China, despite the benefits that would be derived, particularly given the lack of bank branch access in rural markets, and the massive urbanisation that is currently occurring. 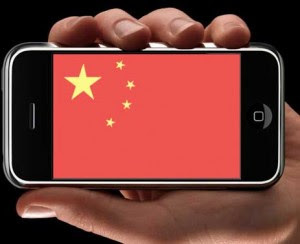 Is this about to change, and in true China fashion, when it does change, will it awaken the world to the opportunity of mobile money in emerging markets? In contrast to the article in the Economist, whilst there has not been much happening in China in the context of ‘M-Pesa type’ activity, there has certainly been a lot of activity in regards to mobile payments. Mobile banking has been present in China since 1999, and all of the major banks including China Construction Bank, Agricultural Bank of China and the Bank of China allow customers to access accounts, make funds transfers and other services through a mix of STK, WAP and 3G data. There have been deals between operators such as China Mobile and the domestic scheme China Union Pay to develop the use of mobile for payments, including NFC and remote payments. Consulting firm McKinsey believe that China is currently at an inflection point with mobile payments set to become a $40 billion industry driven largely by digital content and ticketing, and that competition is going to become intense between banks, mobile operators and third party providers. Much of this activity however will centre on the urban centres, and will not address the need to fill the gap between urban and rural access to banking services. It is this gap where I think some of the most interesting mobile financial services activity in China is about to start. The regulators in China have been watching markets in Africa and elsewhere for some time now, and have recognised the opportunity that mobile money and branchless banking can bring to help drive financial inclusion. In March 2011 the China Banking Regulatory Commission issued a circular that encouraged financial institutions to look at alternative channels such as mobile to improve access to finance in rural locations, in an effort to assist with economic development in those regions. There has been recent discussion that the People’s Bank of China were keen to commence pilots in rural locations specifically in mobile money, and had issued guidelines that will govern where these pilots will occur, and the participants to deliver the services. The services that need to be provided to customers include airtime top-up, remittance and some payments. The guidelines provide strict requirements for KYC and risk management, and also provide recommendations on the type of agents that should be selected, including convenience stores, mobile phone shops and post offices. PBOC make recommendations on how services should be marketed, and provide an overview on how participants in the mobile money pilot should report their findings back to regulators to aid with future regulation of mobile money. The guidelines are extremely interesting in that they appear to have been drafted with a close eye to other mobile money schemes in emerging markets. As an industry we should watch China with great interest over the next 12 months to see how these pilots develop, and whether a framework for large-scale extension of branch accessibility can be built. With over 30% of the population unbanked, there is a significant opportunity to drive financial inclusion through mobile, perhaps catapulting China to be the leading mobile money market in the world. For a country where scale is everything, this could be a phenomenal achievement in the history of financial inclusion. Nice article Brad - that statistic of 1 branch per 30,000 people in rurual China is amazing! Just opened accounts with PBOC last week - so we'll see what comes of that. Rob. An interesting tangent is the large international banks are looking to PBOC approval for additional lending and branch licenses in the economically attractive east coast, are being asked to establish banking infrastructure in the western provinces. FINO in India has benefited greatly from the push by the RBI to only grant banking license extensions to international banks that support the unbanked. I wonder if China Inc. having now release the 'plan' in their circular via China Banking Regulatory Commission, that we will see PBOC corral both the large domestic & international banks into investing into a common infrastructure. Excellent article! I will try PBOC. Asia’s highly competitive cellular industry is built on lots of innovative operators Across Global a total of around 3 billion dollars cellular members are being provided by a huge number of cellular providers. The providers are continuing to drive the industry, growing it by more than 10 percent yearly coming into 2012. I like your article and it really gives an outstanding idea that is very helpful for all the people on web.Thanks for the information.